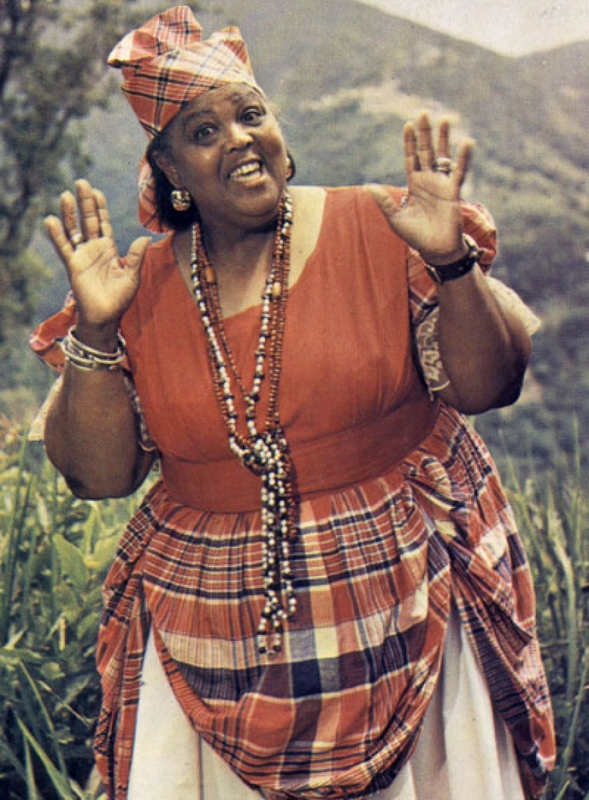 Today JAMAICA is 53. 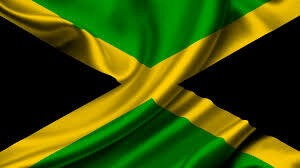 It is a moment of blessing and happiness for those of us born in, descendant of and love Jamaica. It is also a time to share that happiness with those who love Jamaica although not born in the land of wood and water. There are many reasons to be proud of our young small nation and the peoples who have been brought forth from this nation that have put a stamp on human history. All this has been done while facing seemingly insurmountable odds from the first moment Europeans destroyed the aboriginal people in Jamaica, to the Africans fighting against slavery and having limited success against the most far-reaching holocaust in human history, to the influencing of PAn African thought through Marcus Garvey & Rastafarians and the infectuous Reggae music and powerful contirbutions in the areas of human rights, progressive thought, academia, Christian service, athletics and so much more. We have done all this while dealing with challenges from both outside and inside of our communities and creating a Diaspora that by all estimates doubles our population on the island. 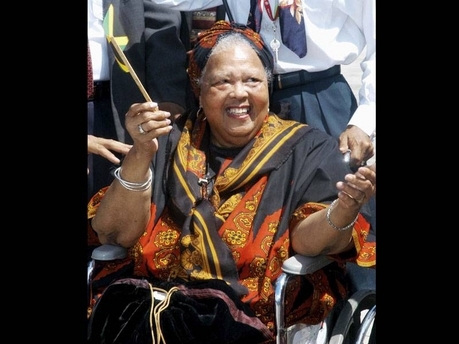 I would like to see as a present on this 53rd year, all Jamaicans really coming together with a mindset of always supporting people and things Jamaican in positive realms and to use all these areas of GODly anointing that we show so successfully to truly make us advance in every area so that we not only benefit ourselves, but the whole human race. and play her part in advancing the welfare of the whole human race. There is about to be a dramatic injection of spice and diversity into Art Basel, one of the most popular Art events that occur in the United States, with the introduction of world renowned, critically acclaimed and gorgeous art. Art Basel draws tens of thousands of persons from inside and outside of Miami. However although the event has been around for 40 years, it is not known for showcasing artists or art that come from the African Diaspora. Fortunately this has been changing recently with the efforts of several people and organizations. Multitudes Contemporary Art Gallery owner and curator Babacar Mbow is committed to bringing forth some of that change. Mbow has a highly acclaimed, diverse and longstanding career in education and art and is uniquely equipped to source and present art from the African Diaspora. This year’s exhibition will focus on Haiti. Haiti is the country that 1st represented African freedom and independence and the beginning of the end to slavery in the Western Hemisphere, and hence a source of great inspiration for artists. This works perfectly as South Florida has a large Haitian population and by extension a large Caribbean population. The change towards greater diversity will go into high gear with this exhibition called “Caribbean Fantastic” that runs from the 3rd of December 2013 to the 2nd of January 2014 at the Multitudes Contemporary Art Gallery. 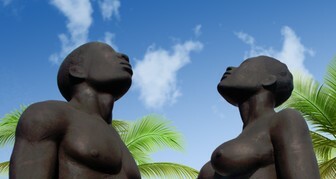 Caribbean Fantastic features the works of the extremely talented and exciting Jean Claude Legagneur. 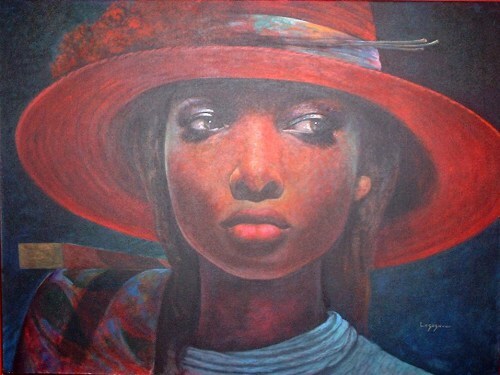 Jean Claude Legagneur is a very successful artist whose critically acclaimed works have been seen in places like New York, South Florida, DC, Tokyo, Port-Au-Prince and Santo Domingo. His monumental Mural adorns the American Airlines Terminal at John Fitzgerald Kennedy Airport in New York. Jean Claude Legagneur is an integral part of African Diaspora history. Legagneur is a relentless painter that has produced a large treasure of artistic gems that has been moving people since 1963. Born in Haiti in 1947 Legagneur travelled to the United States at an early age and was soon working with some famous artists and would eventually make beautiful and engaging imagery for the world to see. Besides the positive accolades given earlier, Legagneur consistently received the descriptions of sensitivity and sincerity from the critics that have reviewed his works over the years. Under the patronage of the Consul General of Haiti in Miami , The Night of the Haitian diplomacy is at the heart of the dynamics of the new Cultural Diplomacy policy of the Haitian government. The presence of Haitian diplomats in the United States as well as those in the Caribbean and beyond is anticipated. With artists, Hollywood stars, great collectors and other guests of the city, this night will present Haiti in all its potentials. The actor who masterfully interpreted historical consciousness through Toussaint Louverture: The Battle of the Eagles is also a humanitarian whose work focuses on the construction and operation of a school in the Haitian countryside. This fund raising event will be attended by Hollywood stars with his fans and colleagues. Persuasive and comprehensive, Caribbean Spaces achieves an intriguing sequence of intricate journeys through Caribbean and African diasporic cultural spaces, political landscapes, historiographies, and literary-artistic terrains, each keenly observed. Emancipation day is an important day for the descendants of Africa, especially those whose ancestors were impacted by the Slave trade. In the 1800’s the holocaust of slavery was hit with a crippling blow around the world. The Emancipation Act was passed on July 31, 1834 throughout the British Empire and effectively ended the Slave Trade. Full freedom from slavery did not come until four years later on August 1, 1838. The 4 year period was instituted as a transition period as this monumental change would irrevocably change societies worldwide. The abolition of Slavery in the British Empire would affect slavery everywhere mainly because Britain’s navy owned the seas and without the cooperation of the British Navy, it made slavery both difficult and expensive. And as destructive, dehumanizing and inhumane the European version of the system of slavery was; it was for all intents and purposes an economic manifestation. Slavery was a system used to have Africans as free labourers in labour intensive industries such as Cotton, Sugar and Tobacco. Throughout the 1400’s through to the middle of the 1700’s products such as these fetched a very attractive price, along with the free labour, a tidy profit could be made. Although labour was free, the cost to keep Africans enslaved was high. Especially in areas where there were slaves freeing themselves and staging revolts. The most successful of these of course included the Maroons in Jamaica from the 1500’s through to the 1700’s and even more so the Africans (including Maroons) in Haiti who would successfully wage a revolution against French armies, supported by Spain and England. Do not think though that the Emancipation act came about from any altruistic gestures by the British Monarchy. Due to the work of many abolitionists in Britain; the sentiment against Slavery had grown tremendously among the English population. Also the prices of the aforementioned products began to drop on the world markets as new products that did not need this labour intensive situation were now rising to prominence. Along with that came the advent of the industrial age which was ushering a new era where such labour numbers were not the order of the day. All the aforementioned along with the cost of keeping control and responding to revolts made these endeavours non-attractive. Continuing Slavery no longer made economic sense. The definition of Emancipation from the British Oxford Dictionary states that it is “the fact or process of being set free from legal, social, or political restrictions; liberation:” With the majority of African persons in these areas lacking resources, political clout, and in some cases freedom, can we really call ourselves emancipated? It was probably this same observation that led former Prime Minister of Jamaica and former leader of the Non-Aligned Movement (a coalition of countries that were not listed as industrial nations) Michael Manley to say; “The enslavement of the body which endured till 1838 was nothing compared to the enslavement of the mind which persisted since”. The affects of slavery and the propaganda to support slavery has endured and left a lasting mark and has conspired to keep those of African descent in such a position.